PARIS -- Renault will sell its remaining 6.5 percent stake in truckmaker Volvo as it seeks to cut debt and boost investment in carmaking. The sale will raise 12.8 billion kronor ($1.92 billion) and ends Renault's 11-year run as the Swedish truckmaker's largest shareholder. The automaker said it would use the proceeds to fund domestic and international investments as well as to reduce automotive net debt. 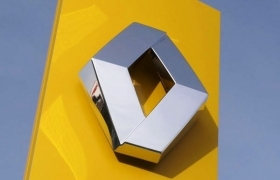 "These investments are required for the preparation of the group's future in order to follow the rejuvenation program of the range, strengthen the competitiveness of its European plants and foster the international expansion of Renault," the company said today in a statement. Renault is expanding in global growth markets such as Russia and China to reduce its dependence on the weak European market where its sales fell 18 percent through October. "We will use the money to invest in France and, especially, in China and Russia where growth is strong," a Renault spokesperson told Automotive News Europe. Renault and partner Nissan Motor Co. on Wednesday signed the final agreement to take control of Lada maker AvtoVAZ in Russia and invest 23 billion rubles ($742 million) in the new venture. While the timing of Renault's exit from Volvo was a surprise, Citigroup analysts said: "Volvo's share price at about 96 crowns is still near its highs of the year so we can see the logic in proceeding now." SocGen analysts wrote: "We see an opportunity for Renault to benefit from a good valuation on non-core investments and rapidly get back to a positive net cash position, which could ease the refinancing of existing debt or avoid costly new funding." Philippe Houchois, an analyst at UBS in London, said: "What the market now wants to know is whether Renault is going to burn cash or not. The positive way to interpret this transaction is to say that they're going to use it to deleverage; the negative one is to say that they'll burn it." In October, Chief Financial Officer Dominique Thormann said the company's "safety margin" was narrower as it lowered its forecast for industrywide European sales to a decline of at least 8 percent, from a July estimate of a drop of 6 percent to 7 percent. Thormann said 2012 revenue will be lower than 2011. Net financial debt at the company's automotive division at the end of June more than doubled to 818 million euros ($1.07 billion) from 299 million euros a year earlier. Renault sold a 14.9 percent stake in Volvo in 2010 for 3 billion euros. The French carmaker acquired its holding in 2001, when it sold its trucks division to the Swedish company in return for shares.